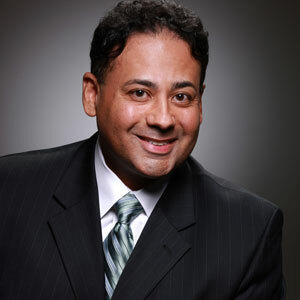 Dr. John Reyes is a co-founder and the Practice Director of Modern Ob/Gyn. Dr. John proudly comes from a family that includes six Ob/Gyns who have dedicated their lives to women's health. His father, brother, sister, sister-in-law, and wife together have delivered over 20,000 babies and counting! Drawing on this breadth of shared experience, Dr. Reyes devotedly offers his patients a highly personal and caring approach to healthcare and places a special emphasis on patient education and counseling. Dr. John Reyes is Board Certified. He is a Diplomate of the American Board of Obstetrics and Gynecology and is a Fellow of the American Congress of Obstetricians and Gynecologists. Dr. Reyes attended Austin College in Texas and completed medical school at the University of Nebraska. He finished his residency training in Obstetrics & Gynecology at Saint Louis University. During his specialty training, Dr. Reyes received several honors. Dr. Reyes was awarded the award for best teaching resident, the Excellence in Scientific Achievement Award, the Senior Research Award, and was honored to serve as the academic chief resident and was the recipient of the award for Excellence in Medical Research. Dr. Reyes served as an academic faculty attending physician at Albert Einstein Medical Center Department of Ob/Gyn in Philadelphia for three years, where he specifically taught and trained future Ob/Gyn physicians. Dr. Reyes has a special interest in laparoscopic, robotic surgery and helped bring minimally invasive Gyn surgery to our medical community. Dr. Reyes speaks fluent Spanish and has been honored with a community service award for his dedication to the Hispanic community. He has a passion and talent for ensuring the practice delivers excellent patient care and quality satisfaction to all its patients.